How much time do you spend at the grocery store looking at the ingredients panel on a product before buying it? Since the change to a global food market, it has become more and more important to know what ingredients are used and where food comes from. It's the only way to make smart food choices, by choosing products that are made with the best quality, most natural ingredients. As you learn more about your foods and their manufacturers, a sense of trust is created between certain brands and their well-informed customers….You. This trust is vital--it's what enables you to be sure you have filled your fridge and pantry with products of the best quality for yourself and your family. Understanding the source and processing becomes even more important when looking for supplements to your diet. These products are a concentrated boost to specific nutrients that you need throughout a busy day to remain at your best. Because of this, you want to be sure that any supplement you are using is of the highest quality--and that they will remain that way. Thanks to our responsibilities at work and home, we have less time for cooking and eating every day. However, our bodies still need to same foods to fuel us, with the high balance of nutrients that fuel our muscles, organs, internal systems, and brain. Nowadays, it has become more and more difficult to find a good source of protein that can be prepared on the go. 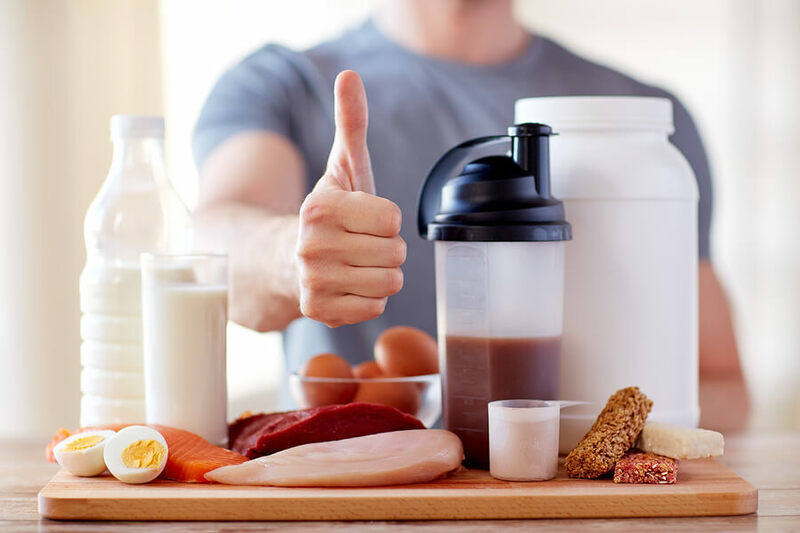 Whether it’s high protein snacks like nitrate-free jerky or any variety of protein supplements (like a whey powder shake), these protein foods are vital for healthy body function. But however you choose to get your protein, you need to know that the source is a brand you can trust to provide the highest quality ingredients. Whey is one of the best protein powders because of its complete amino acid profile and quick digestion. This makes a whey powder shake ideal for a pre- or post-workout boost to increase muscle gain/tone and decrease recovery times. A natural whey protein powder is one of the best weight loss supplements. It contains glycomacropeptides, which trigger a feeling of fullness, enabling you to avoid hunger pangs and keeping you satiated between meals. When designing protein shakes for weight loss, you can even include other supplements to make a full meal replacement shake (some examples HERE). * It will also speed up your metabolism, increasing your daily calorie burn. Whey even protects your muscle from catabolism (breakdown) common with weight loss making it ideal for slimming down without muscle mass decrease. 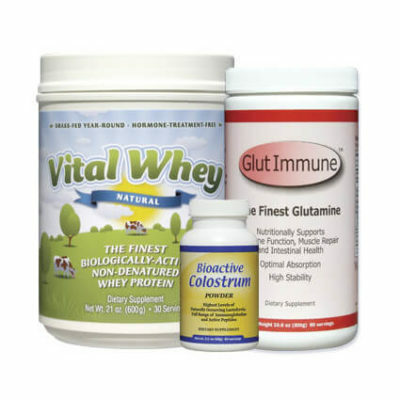 An all-natural protein powder made from the whey of grass fed cows provides a full amino acid profile, the fragile protein fractions used to make antibodies and all of the building blocks for glutathione, the body’s major antioxidant. 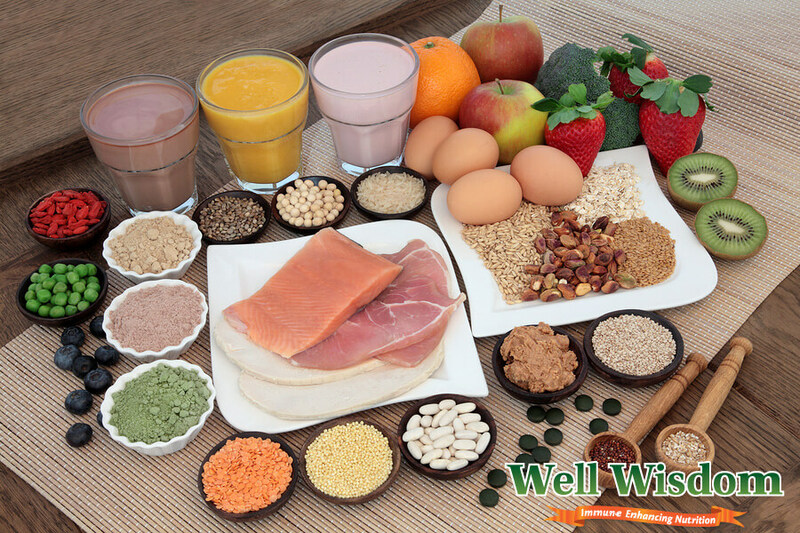 * High quality protein is an excellent source of glutathione, one of the most important immune-boosting antioxidants. Whey protein promotes anabolism (growth) of new muscle cells. This enables your body to repair muscle tissue damaged in your workout, enhancing post-workout recovery. It also allows your body to produce new or expand existing muscle tissue in order to accommodate the increased demand placed on your body via your workouts. A native whey protein helps to reduce high blood pressure/hypertension, reduce your risk of Type 2 Diabetes, prevent and minimize inflammation (a market for chronic disease and cancer), improve your digestive function, reduce oxidative stress in your body, and lower your cholesterol levels. As you can see, natural protein from Grass-fed cows is one of the best foods to add to your diet. By eating more of this product, you can improve your health drastically in many ways. But how can you be sure you're taking a protein powder that actually works, and not some cheap, inefficient supplement? It's all about finding the best quality protein powder. If you are looking for the best quality whey protein powder, it can be hard to know given all the options. With so many products on the market, you may have no idea what makes one supplement better or worse than the others. With regular cow's milk, there is always the risk that the cows will have been given GMO feed that is nutritionally deficient. Natural whey protein that is sourced exclusively from grass fed cows adheres to the cow’s natural diet, thereby producing the highest quality raw milk. Grass-fed cows produce whey that has a superior nutritional profile to those who consume organic grain. There are more amino acids in whey from grass-fed sources, along with more healthy fats and immune-boosting nutrients. Grass Fed Native Whey Protein is always better than organic. There is also a key difference between "grass-fed" and "pasture fed" whey protein. A grass fed source of whey comes from cows that are fed exclusively on grass. On the other hand, to qualify as pasture fed the cows only need access to pasture for a portion of their day and can still have their feed contain grains and other fillers. Bovine growth hormones are given to cows as a means of stimulating metabolic function and increasing the growth of the cow--leading to an increase in meat and milk production. However, these hormones can have detrimental effects on human health, and have been linked to increased tumor growth, diabetes, and a range of health disorders. In fact, these hormones have been banned since 2000 in Europe, Japan, Australia, Japan, and New Zealand. By avoiding these growth hormones (known as rBST and rBSG), you ensure your protein supplements are effective at building muscle and enhancing recovery WITHOUT unwanted side effects. The finest whey protein is minimally processed. If too much heat, filtration or even acid exposure is used in the processing, it can degrade the nutrients and damage the fragile nutrients. Many of the immune supporting benefits of whey protein powder are lost from over-processing. The more the whey is processed, the more the nutrients (amino acids, glutathione, calcium, etc.) are degraded and depleted. Because of this, the finest whey has only been pasteurized once (the minimum FDA requirement) and is free of any additional treatments like acid exposure, microfiltration, or ion exchange. These additional steps are used to produce whey faster or to artificially bump up the protein percentage, but all of them decrease the quality of the finished product. While highly processed whey may have a nutrient profile similar to native whey protein in its original form, it is much less bioavailable--meaning your body has a harder time absorbing and using it. This difference in protein supplements is important! Whey protein concentrate is a dried powder ranging from 30-80% protein content, the naturally occurring protein range from cow's milk whey. Isolates, on the other hand, are processed further than concentrates to artificially increase their protein content to the 90% protein range. A natural concentrate, by definition, will be less processed than an isolate. The nutritional profile and bioavailability of protein concentrate is far better than protein isolate. The best protein powder will be able to stand on its own. It won’t need extra artificial sweeteners or flavors to do the job. Look for a natural protein powder that only includes a few other all-natural ingredients--better yet, NO other ingredients! This way you have the peace of mind knowing exactly what your product contains. For all supplements--and protein supplements in particular--it's vital to ensure they have been tested and are free of heavy metals. These hazardous compounds can build up in your tissues and cause lasting damage down the road if consumed. * A surprising number of leading U.S. supplement brands contain too-high levels of heavy metals like lead, arsenic, and mercury, beyond the USP's recommended safety limits. Always read the label to ensure the products are free of toxic heavy metals, or they are at safe levels and won't pose a health risk. Each of these steps is vital to make sure that protein powder you choose is the best and highest quality for you and your family. It is often difficult, however, to find all of this information in one place and even harder to separate the marketing from the actual claims. For this reason, we would like to introduce you to our own grass-fed native whey protein, which was specifically designed with these 6 qualities in mind. Well Wisdom was founded by Michael Keenan, who, after being diagnosed with Chronic Fatigue Syndrome, was determined to find a healthy solution to combat his autoimmune disorder. After extensive research, he encountered a German physician familiar with the role glutathione and protein play in chronic illness. Within weeks of taking glutathione derived from powdered raw milk protein, the improvements were visible--including improved sleep, reduced fatigue, and enhanced mental function. Since that day, Michael Keenan dedicated himself to producing high quality products to treat chronic illness and autoimmune disorders the natural way. All of the Well Wisdom glutathione-rich ImmunoPro and Vital Whey supplements are designed to boost immune function, provide a balance of bioavailable nutrients, and address health problems the natural way. Here at Well Wisdom, we have sourced from the highest quality dairies to produce what we believe is the best protein available. The protein has been branded under the name Proserum®, and is used to produce all of our natural ImmunoPro and Vital Whey products. This is to make it easier for you as the consumer, since you can trust that any product with Proserum® listed in the ingredients section contains protein that meets our highest quality standards. 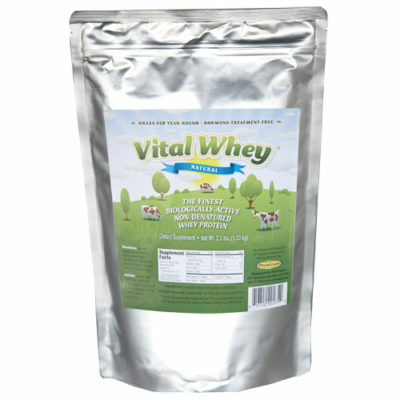 ﻿Grass fed whey protein﻿ sourced from cows that graze year round to ensure the highest quality. Is minimally processed using a single pasteurization and never undergoes acid treatment, micro-filtration or ion exchange. This provides you with undenatred protein loaded with amino acids and bio-available protein fractions. Contains a full amino acid profile more complete than most other high protein snacks. Contains Glycomacropeptides make it an ideal protein powder for weight loss. 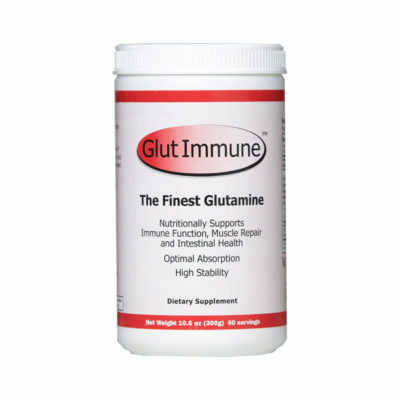 Contains Immunoglobulins, Lactoferrin and Serum Albumin – all of the fragile protein fractions that boost antibody and glutathione production. ImmunoPro and Vital Whey are all made with Proserum® . The key differences between these products are the suggested serving size and the addition of flavoring to Vital Whey (Cocoa Vanilla). ImmunoPro has a smaller 5g serving size to provide tighter control of protein intake for chronically ill individuals. Vital Whey comes in a larger 20g serving size and is designed as a bulk version of the same high quality Proserum better suited for healthy, active individuals and their protein needs. Vital Whey Natural Cocoa and Natural Vanilla use stevia and natural vanilla or cocoa depending on the flavor. They also contain gum acacia, a natural plant extract used to add texture. As you can see, Well Wisdom's Proserum® products have been intentionally designed to produce the finest grass-fed whey protein available on the market today. We understand that it is becoming harder every day to find supplements you can trust to keep standards high. 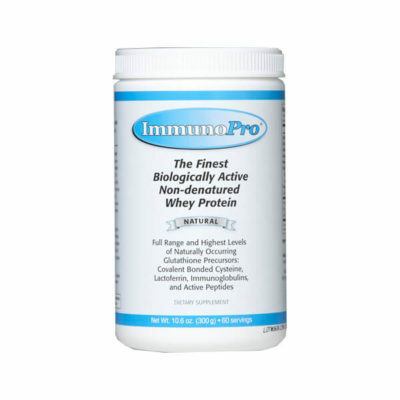 Since its creation in 1999, ImmunoPro, and then later Vital Whey, have always been produced with Proserum® which maintains the highest standard. We’ve scoured the internet for tasty treats, and we’ve even spent time in our own kitchen mixing up a few ingredients ourselves. We’ve made sure to invest plenty of time and work into finding the VERY BEST protein bar recipes around. This is a treat made with toasted coconut and vanilla-flavored whey protein powder, and you’ll find that the simple flavors of this bar make it a delight for every occasion. Whether you’re off to the gym, in need of a quick snack, or looking for a sweet treat at night, this is the protein bar for you! To begin, place a skillet on the stove to heat. Once it is sufficiently heated, add in the flaked coconut. Toast until it is lightly browned, and remove from the heat. Use your hands to form the bars, put them in the freezer, and let them sit for at least 30 minutes. This protein bar is made with all the rich flavor of German chocolate, and the addition of chocolate-flavored protein powder only makes it all the more chocolate-y. For those with a bit of a sweet tooth, this is the best option. It may be a little bit high in sugar, but it’s a protein-heavy recipe that is a huge success! Run the oats through a food processor, grinding them to produce a fine oat flour. Use a scoop to measure in the right amounts of cocoa powder and protein powder, and blend once more. Drain the liquid from the dates before adding them into the food processor, and pour in the pecans, coconut, salt, and vanilla. Blend again. Pour this mixture into a bowl and add in the rice syrup. Stir well, then form into bars using your hands. Transfer the bars to a greased cookie sheet, and slide the tray into the fridge. Let them sit for about 3 hours before eating, and store in the freezer for up to a month! These protein bars are a vegan’s dream–made with very little sugar, all vegan ingredients, and even made without gluten. They may not be the tastiest bars around, but you’ll find that they are a good choice if you’re on a strict diet. Plus, the gluten intolerant will find the bars fit nicely into their muscle-building meal plan. Mix the peanut butter, milk, stevia, salt, and Truvia in a bowl. Combine the protein powder and oat flour in a separate bowl. Pour the contents of the dry bowl into the wet bowl, and mix well. Add in the pretzels and chocolate chips, mix, and roll into bars. Freeze for 30 minutes before eating! These bars are made with REAL pieces of dried fruit, giving them that hint of sweetness you can’t help but love. Plus, with the vanilla-flavored protein powder, they’ve got a great taste! Mix the water and fruit in one bowl, letting it sit until the fruit is soft. Grind the oats into flour using a food processor, and add the rest of the ingredients. Use your hands to roll the mixture into bars, refrigerate for half an hour, and enjoy. These bars look like “pink velvet”, mixed with pumpkin seeds for added flavor and nutritional value. They’re certainly an odd choice, but you’ll find that they’re absolutely delicious as your perfect post-gym snack. Mix the vanilla whey and coconut flour together in a bowl. In a separate bowl, stir the milk and peanut butter together. Run the beets through a food processor, and pour the mixture into the wet bowl. Add in the dry ingredients, stir well, and set in the fridge to cool for 30 minutes. Try these five recipes, and you’ll always have delicious protein bars on hand for when you need a quick snack!